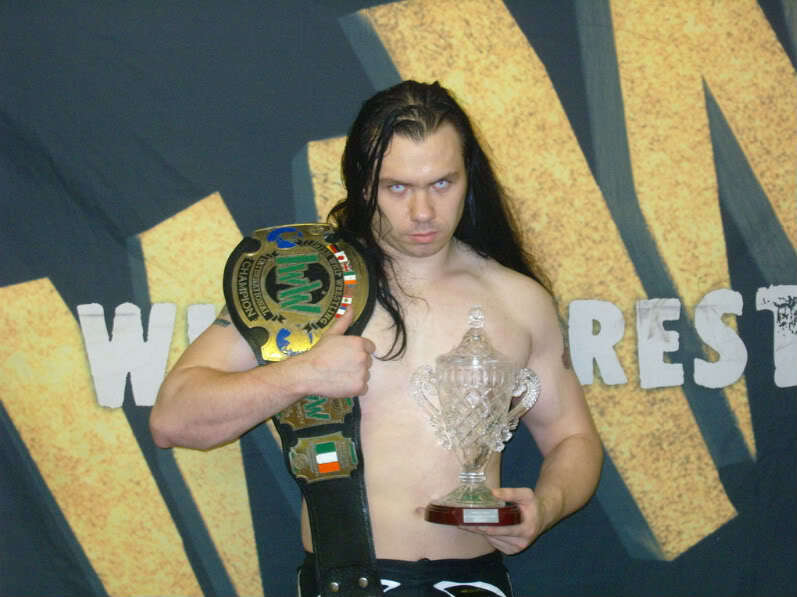 On Friday 15 August 2008, Irish Whip Wrestling held the 1st Dan O’Mahoney Memorial Tournament in O’Mahoney’s hometown of Ballydehob, Co. Cork, before a sellout crowd of 240 people. The Tournament honoured Dan O’Mahoney, inventor of the Irish Whip, who in 1935, became the first and only World Heavyweight Champion. Participating in the tournament were The Ballymun Bruiser, LA Warren, Mad Man Manson and the IwW International Heavyweight Champion Mandrake. In the first match of the tournament, Mandrake defeated the Ballymun Bruiser to advance, while in the second, LA Warren beat Mad Man Manson to progress to the final and face Mandrake. After a hard-fought contest, it was ‘The Black Heart Warrior’ Mandrake who emerged victorious to become the first ever winner of the Dan O’Mahoney Memorial Tournament. 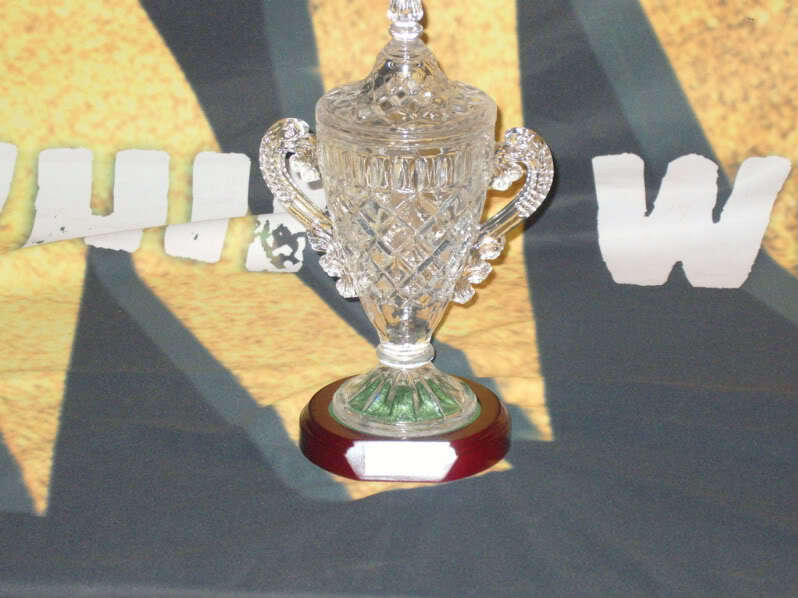 The Dan O’Mahoney Memorial Tournament Trophy. Finalists LA Warren and Mandrake battle for the cup. ‘The Black Heart Warrior’ Mandrake, first ever winner of the Dan O’Mahoney Memorial Tournament.